Zev found trouble right from the start with a poor tee shot and a string of errant iron hits. The course was a wonderfully challenging one- with long yardages and several water hazards. Zev scored a career low of 47. This was an example of a teachable moment- some of the most important lessons in sport/life are often the hardest. As Zora Neale Hurston writes: ” ..Half Gods are worshiped in wine and flowers. 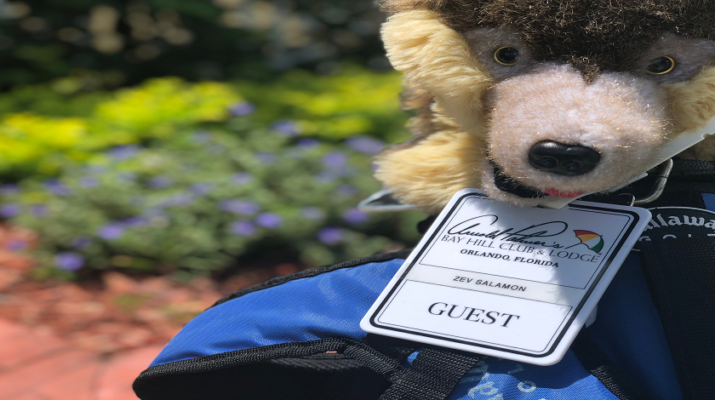 Real gods require blood.” The gods of golf learning are real, and always hungry, – and Zev is learning that success can truly only come through hard work and dedication (with some fun included of course.) He is at the point now where instead of having the luxury to rely on his natural talent alone, he will need to practice – practice – practice! Thank you to Brendon Elliot and the team at Little linksters, who put on an incredible event. 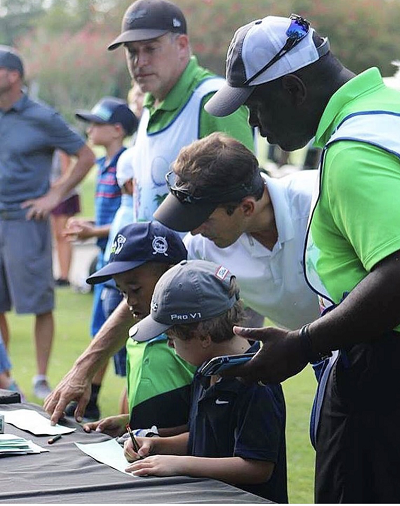 They provide a wonderful opportunity for us to engage in these all important life lessons with our young golfers!